A stone circle is an ancient monument of standing stones. It is not always precisely circular, often forming an ellipse, or more rarely a setting of four stones laid on an arc of a circle. The size and number of stones in a 'circle' varies from example to example. More than 1,000 stone circles have been catalogued for the British Isles and parts of Western Europe, mostly lying not more than 100 miles from the sea. Erected thousands of years ago, their purpose is still something of a mystery. All experts agree that stone circles are of pre-Christian date, but beyond that stone circles have proven difficult to date accurately. Radiocarbon dating has produced a wide range of dates at different sites. This is at least partly due to an inadequacy of materials suitable for radiocarbon dating that can be reliably obtained from the sites. The diversity of radiocarbon evidence may also suggest that stone circles were constructed over a very long period, or were sometimes reconstructed at later dates. It is often not clear when building started. A further obstacle to dating is that there are generally no other archaeological artefacts associated with the stone circles. 'Traditional' archaeological artefacts, such as pottery shards, bones, etc., are not often found at the sites, and when found are frequently of a later date than the associated stone circle. The sites display no evidence of human dwelling, and rarely encompass graves. This suggests that stone circles were constructed for ceremonies (perhaps religious ceremonies) and were in use on ceremonial occasions only. The type of ceremonies (if any) is entirely unknown. An alternative hypothesis is that they were a form of amulet or talisman, i.e., an entity acknowledging and appeasing supposed spirits dwelling in nature, meaning that their ceremonial use was secondary to their talismanic value, or equal to it. The crudeness and variety of the stones excludes the possibility that they had astronomical observation purposes of any precision. Sometimes a stone circle is found in association with a burial pit or burial chamber, but the great majority of these monuments have no such association. A stone circle is an entirely different entity from a henge, and different also from an isolated monolith, yet sometimes these other types of ancient stone monuments are found in close proximity. 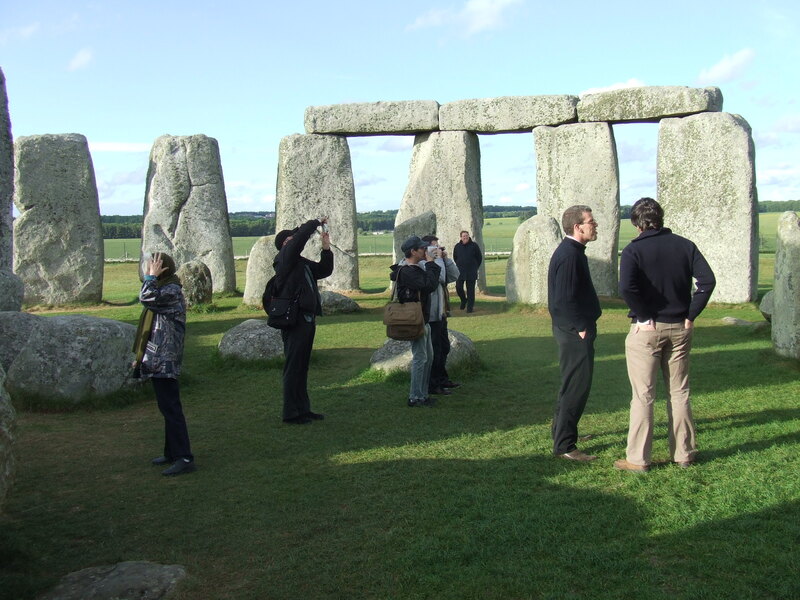 There are approximately 1,000 stone circles and 80 stone henges in Britain and Ireland. The French archaeologist Jean-Pierre Mohen in his book Le Monde des Megalithes says: "British Isles megalithism is outstanding in the abundance of standing stones, and the variety of circular architectural complexes of which they formed a part...strikingly original, they have no equivalent elsewhere in Europe — strongly supporting the argument that the builders were independent. Often oriented on sight lines for the rising or setting sun or moon at certain times of the year, it is possible that, for their builders, the cycle of seasons was very important. As mentioned above, however, the crudeness of the stones means that they could not have been used as precise astronomical calculators. During the Middle Neolithic (c. 3700–2500 BC) stone circles began to appear in coastal and lowland areas towards the north of the United Kingdom. The Langdale axe industry in the Lake District appears to have been an important early centre for circle building, perhaps because of its economic power. Many had closely set stones, perhaps similar to the earth banks of henges, others were made from unfounded boulders rather than standing stones. The final phase of stone circle construction took place in the early to middle Bronze Age (c.2200–1500 BC) and saw the construction of numerous small circles which, it has been suggested, were built by individual family groups rather than the large numbers that monuments like Avebury would have required. Many fine examples are to be found within Dartmoor National Park, Devon , the site of 18 recorded stone circles (and 75 stone rows) dating mainly from the late Neolithic to mid-Bronze Age. Grey Wethers, a double circle on an isolated plateau, is among the most significant sites. By 1500 BC stone circle construction had all but ceasedt is thought that changing weather patterns led people away from upland areas and that new religious thinking led to different ways of marking life and death. 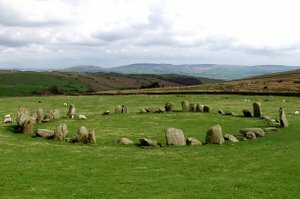 Stone circles have often been associated with the druids, but they were abandoned long before druidism came to Britain, and there is no evidence that they were ever used by the druids.